This page covers the author of Against All Enemies: Inside America’s War on Terror. For other authors named Richard A. Clarke, see the disambiguation page. Richard A. Clarke discusses Your Government Failed You: Breaking the Cycle of National Security Disasters. Richard A. Clarke's book Sting of the Drone was available from LibraryThing Early Reviewers. "Richard A. Clarke" is composed of at least 1 distinct authors, divided by their works. You can edit the division. 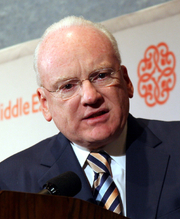 Richard A. Clarke is composed of 4 names. You can examine and separate out names.